Are you looking up for the best hand holder straps for your tablet? Are you afraid of falling down of your tablet while using it? So here is the best solution for your this problem. Here are some of the best Kindle hand strap holders for your tablets. These hand straps will help you to hold the tablet easily and provide the stronger grip onto your tablet. The hand strap comes with many different features that will be best for your tablet protection. 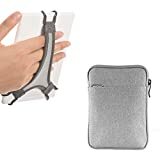 These all Kindle hand strap holders are made with the best quality of material and helps you to use the tablet in whatever position you want to. So here are the details of some of the best Kindle hand strap holders from Amazon. Read anywhere anytime you want with this best Kindle strap holder. WANPOOL Kindle hand strap holder is one of the best Kindle hand strap holders. It is specifically designed to use with Kindle Voyage, Kindle Paperwhite, Kindle, Kindle Oasis 6 inch. This is an amazing hand strap for Kindle. This can easily be used for 6-inch e-readers. It is very soft, safe and convenient to use. This absorbs shocks and provides protection from scratches. This hand strap improves holding comfort and secure while using your device. It is very easy to take anywhere and easily carry in the backpack, briefcase and other bags. This Kindle hand strap fits easily. It fits enough so one can lie on their side and easily hold the Kindle without sliding. You can easily turn pages very easily. It fits like a glove. This hand strap has an extra front pocket to hold keys, cell phones and other accessories. It can save hand strain while on the long journey. It is perfect and prevents your Kindle from falling out of your hands. Fintie Universal Tablet Hand Strap Holder is designed to hold 7 inches to 10-inch tablets. It fits comfortably to any hand size. It is easy to install. This Kindle hand strap is flexible, comfortable and convenient. You can peel the patch without any effort and attach it over the back of the tablet. It has the 360-degree rotating mechanism. This Kindle hand strap provides landscape and portrait mode also. It removes easily and reattached safely. This Kindle hand strap has multi-functions. It can serve as the tablet stand. 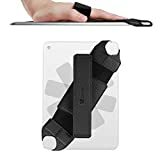 You can hold the tablet with one hand and the other hand can be used for eating, drinking and etc. You can watch videos and movies with free hands. This helps in reducing hand fatigue and keeps your device safe. This Kindle hand strap is always protecting your devices from falling out of your hands while using. It is compatible with iPad, iPad mini, iPad Pro, Samsung Galaxy tabs, Lenovo tabs, LG tabs and many more. Use your tablets without having fatigue in hands with using Fintie tablet hand strap holder. Now, read without worrying about falling off your Kindle from your hands. TFY Kindle hand strap holder is perfect for Kindle e-readers. This Kindle hand strap is triangular shaped. It has strong metal brackets. This hand strap holder is coated with soft plastic. TFY hand strap is easily fitted for 6-inch Kindle e-readers. This is a very comfortable, easy and convenient to use. This Kindle handle strap is simple and quick to strap and take off from your tablet. It fits perfectly with no adjustments. It generates great and optimal grip stability. This perfect Kindle hand strap provides protection of Kindle against falling. It offers to handle security. This always protects your Kindle from falling out of your hands. 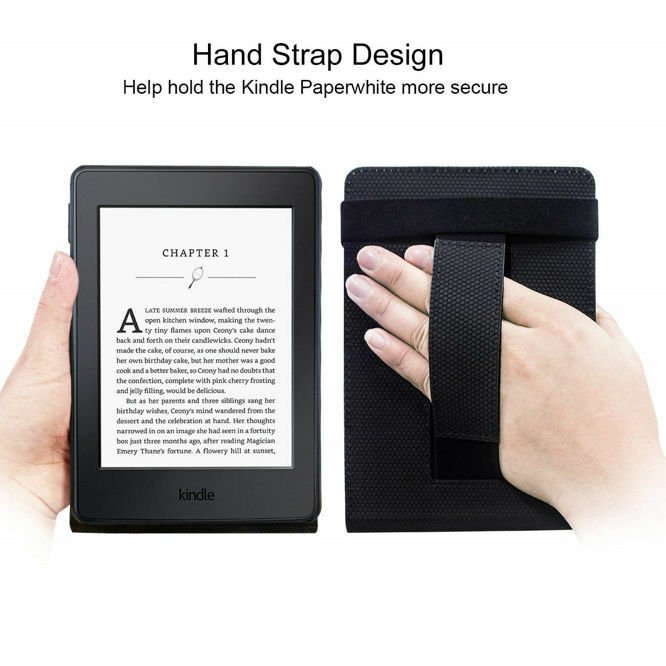 This hand strap allows fingers of holding hand to keep well away from the Kindle screen. 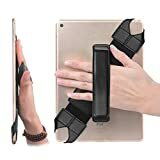 It reduces the discomfort of hand, fingers and wrist while handling Kindle. This is easily portable and can be carried anywhere. This helps in preventing fatigue and strain on hands. This perfect Kindle hand strap is compatible with Kindle Paperwhite, Voyage, Sony, Oasis and many more. Triangular holding strap generates greater grip stability. Read comfortably with setting perfect angles with this ideal Kindle hand strap holder. WALNEW Kindle hand strap is the best choice for Kindle readers. 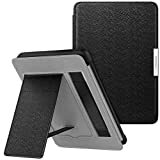 This Kindle stand cover is designed for Kindle Paperwhite. It fits all versions with the 6-inch display. Its stand works well while reading. This amazing Kindle hand strap is made of durable synthetic leather. It has the soft interior for preventing scratches and dust. 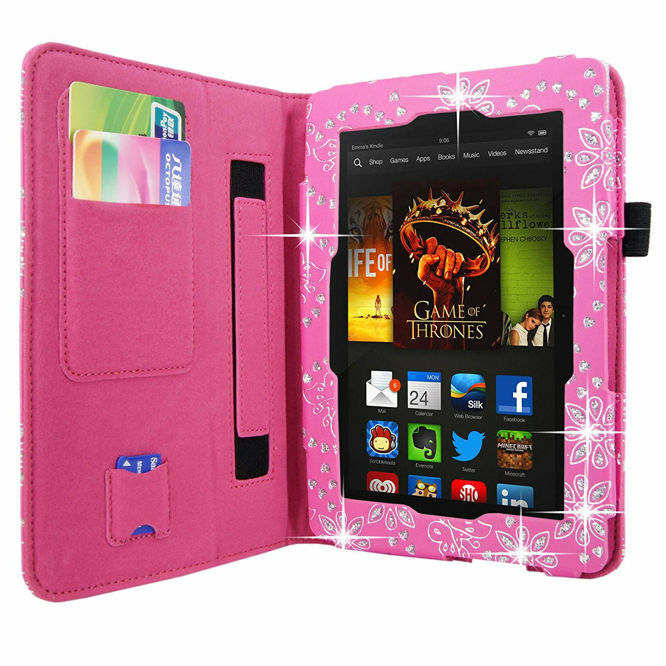 Its colorful high-quality leather protects the Kindle. It makes the Kindle look more beautiful. Its elastic band makes sure that the Kindle cover is closed safely. This is safe, flexible and convenient. It has the feature of sleep and wake by closing or opening the cover. This Kindle stand cover has multi-viewing stand design. You can set your hands free while reading. It allows you for adjusting Kindle to multi-angles safely and securely. It has hand belt design also. This design offers handling security. It protects your Kindle device against falling out of your hands. It is perfect to read on plane rides. Use this stand cover to read comfortably anywhere you want. 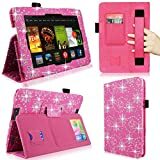 CELLULARVILLA Standby Folio case provides the best protection case cover for your Amazon Kindle Fire HD 7″ 2013. The classy design of this flip cover is made of faux leather. 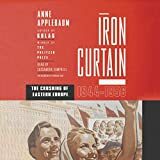 The interior of this cover is made with the non-scratch material. The folio covers have a flip capability to, and you can transfer the case into a horizontal stand. You can easily flip the cover into any comfortable viewing stand position. Use the tablet in hands-free position while sitting in whatever position. The magnet straps build inside the cover provides you the secure closure. The elastic hand strap inside this Kindle hand strap helps you to hold the tab conveniently. The cover provides the benefits by which you can easily access all the features like camera and speaker hole. You can easily take a picture and listen to the song while using this flip cover and you don’t have to remove it. 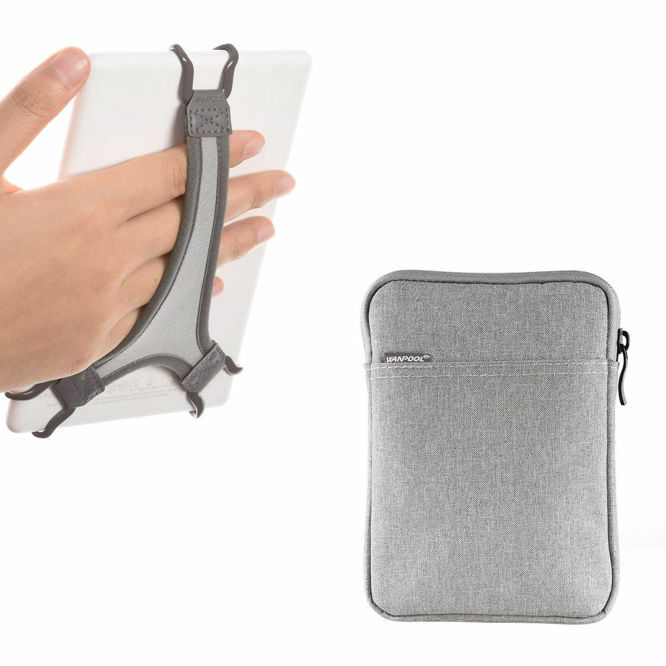 The compact structure of the Kindle hand strap case offers convenient mobility. This Kindle hand strap is very comfortable in every aspect. The Artyond Kindle hand strap is 100% Brand new tablet holder. It is made with High-quality of PU leather material. This hand strap holder is very convenient. This is a very unique holder because it has Auto Sleep/Wake Feature which makes this cover more protective. This Kindle hand strap holder has a flexible exterior with a soft microfiber interior. It protects your screen and keeps the screen clean. It is made of the non-scratchable material. This hand strap holder provides a perfect protection to the tablet against hock, damage, dust, and scratch. This cover is very lightweight portable and easy to access. You can save power with this strap as it gets automatic entry into sleep mode. The cuts to all buttons are provided so that you can use all the buttons and ports. You can access the speaker and sensor without moving the case. The magnet function of this hand cover allows you to keep the cover closed securely. It will not get opened accidentally. It is available in more than 30 colors. 100% Brand New High-quality and Crazy Horse Pattern PU Leather Material. The kindle hand strap by Joylink is one of the best hand straps. It provides the 360-degree revolution to your tablet while lying in any comfortable position. This Kindle hand strap is made with high quality of PU leather and offers you the comfortable feeling when you use it. It has a quick and simple strap to put on and take off easily. It is a very secure hand strap for your tablet. 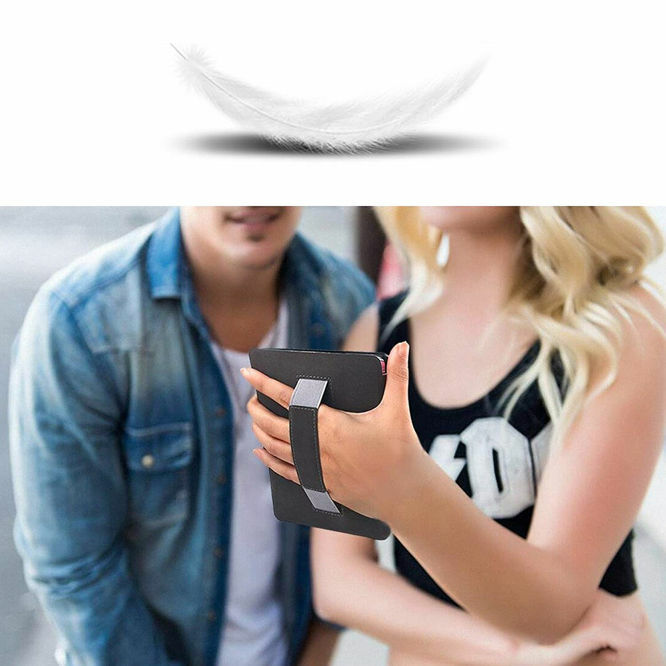 You will not worry about the falling of the tablet from hand anymore. The classic design of this hand strap is very unique and allows you to handle the tablet with one hand only and other hand remains free. You can be multitasking while using the tablet with the help of this kindle hand strap, you can perform another task like holding coffee, book etc. This hand strap is very adjustable and can fix 1” tablet sizes and other about 10.1 in tablet sizes. Devices like Asus Zenpad, galaxy note 10.1, Lenovo TAB 2, Lenovo think pad 10 etc can also easily get fitted in this hand strap. TFY Kindle hand strap is perfect to fit Kindle Fire Tablets with 7-10 inches. It is made of high-quality material. Its soft plastic coating prevents scratches of device edges. Its design is wonderful. The strap is comfortable and durable. Its strap never gets loose. It always remains securely attached. This offers more security in handling Kindle tablet. It protects Kindle against any accidental fall. Its strap can be fitted or removed very easily. This Kindle hand strap is very sturdy and solves all fatigue problems of hand while handling. TFY Kindle hand strap makes it easy to hold while reading. The kindle case cover by Fintie is the best accessory for your Kindle. This case cover provides the extra protection to the tablet. It is made with PU leather which provides the extra security, more comfort and better handling to hold your tablets. 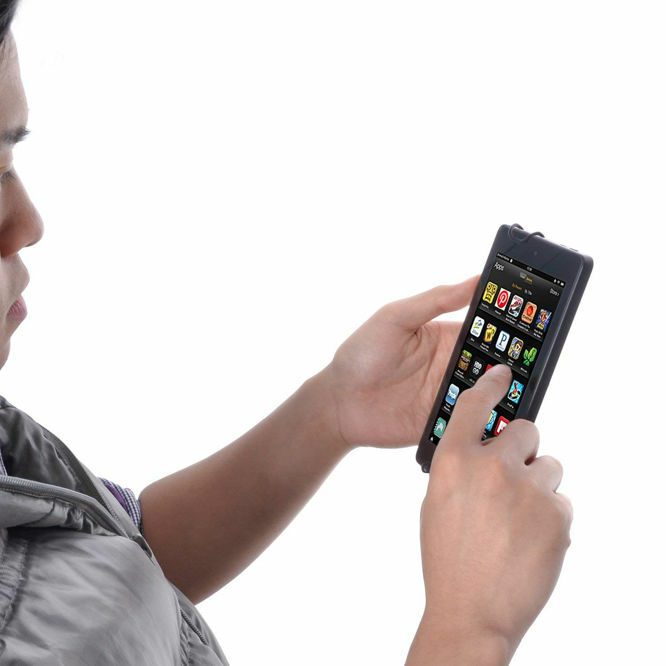 You can comfortably for long or short periods with the help of this case cover. 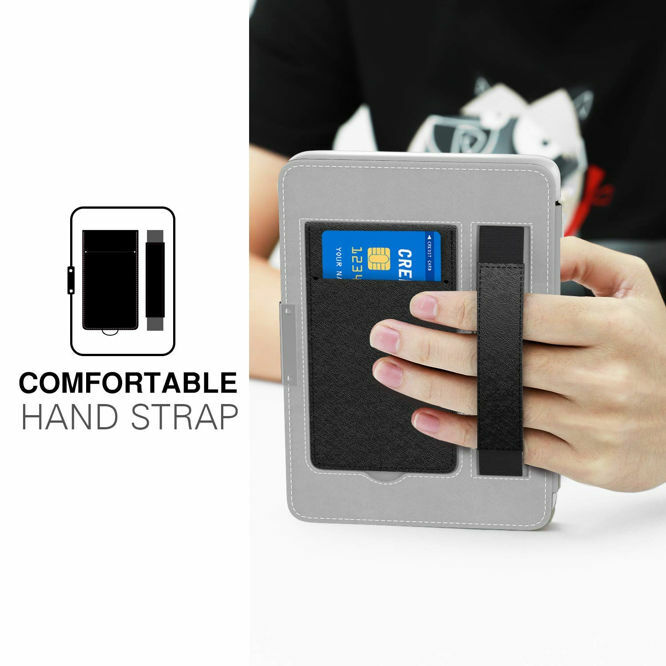 It has an elastic belt which provides the better grip to hold the tablet. It provides protection to the tablet from accidental drops or cracked screens while in use of playing games, reading etc. it can be adjusted according to the use in any position. The MoKo case Kindle hand straps is perfect Kindle strap. It has a perfect design. 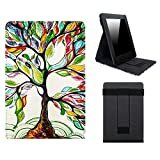 This Kindle case cover is stylish, flexible, durable and anti-scratchable. The case cover is Thinnest and lightest provides the best protection for the case and ensures the security of handling it. It is made from premium quality PU leather and PC hard shell. The soft fiber in the interior of the cover provides the full protection to the Kindle. It has automatically sleep and wake up feature that helps to save the power of the tablet and enhance the battery life. 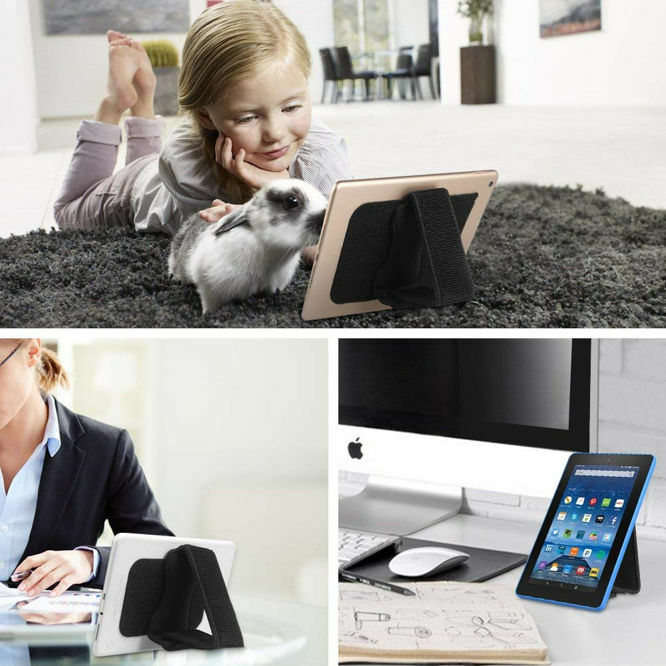 You can fold it to any perfect and comfortable angle with the portable folding stand. It has a built-in card slot where you can keep the small objects, such as your cards, invoices etc. 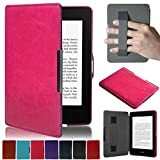 Perfect designed for Amazon Kindle Paperwhite (Fits All 2012, 2013, 2015 and 2016 Versions)(Will not fit All-New Paperwhite 10th Generation). These kindle hand strap covers are very convenient and easy to use. 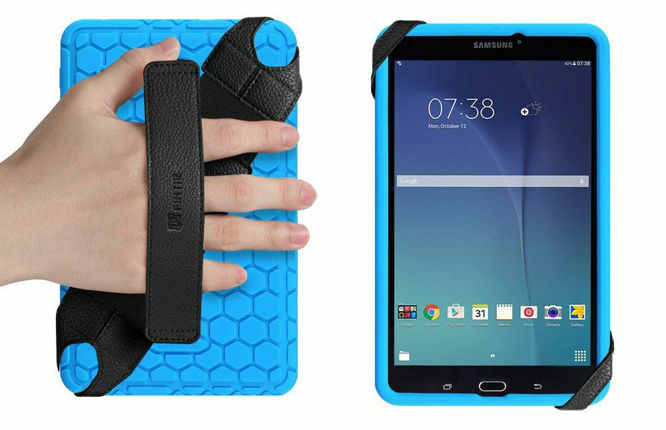 To provide the full protection to your tablet while using the tablet you can use them. The will provide the full security to your tablet. These kindle hand strap covers are very useful for kids also. 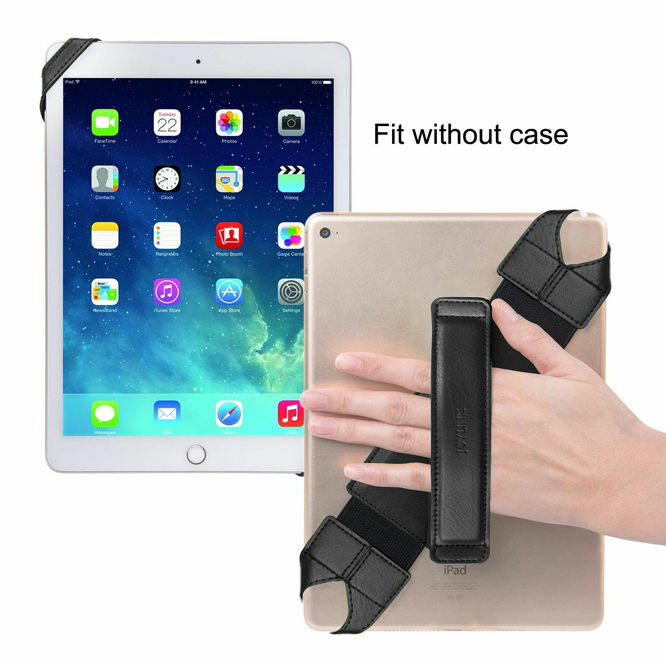 These hand strap holders are very essential things to have because it will improve your experience of using the tablets with one hand and you can easily work with other hands. All these hand strap covers are made of high quality of leather that will provide the look and long life to cover.